Otomate Party 2018 was held on September 8th and 9th this year, and with it came a slew of new otome game announcements! 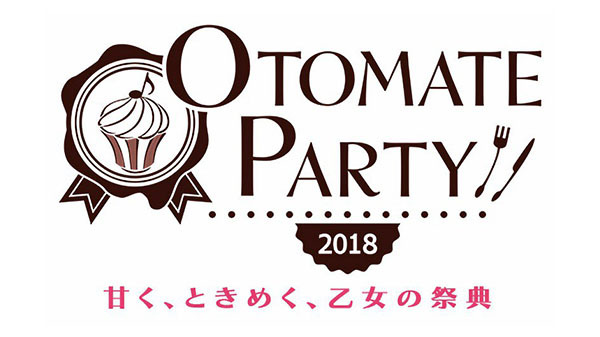 Otomate holds the yearly Otomate Party event to celebrate its recent and more popular titles with events featuring voice actors from the games and reveal some brand new games while they’re at it. Following the company’s announcement earlier this year that they would be shifting focus to the Nintendo Switch, all console Otomate game announcements were for Switch, rather than PS Vita. I’m excited for more Switch otome games, but sad to see companies slowly dropping support for my beloved Vita! Luckily, there are still lots of otome games for the PS Vita being announced, like the Kenka Bancho Otome sequel, Kenka Bancho Otome 2nd Rumble!!. Otomate, however, is all about the Nintendo Switch now. Watch the reveal trailer to see the whopping nine new titles and ports for the Switch at Otomate Party 2018 and read on for further explanations and impressions! Gematsu posted a great breakdown in English of all the games at Otomate Party 2018, along with their individual trailers and details about which games are all-new announcements or previously-revealed titles with new footage. I won’t be commenting in-depth on every single game at the event, so be sure to check it out if you want further information. The new Switch Otomate port announcements include Yunohana SPRING! ~Mellow Times~ for Nintendo Switch, Moujuutsukai to Ouji-sama ~Flower & Snow~ for Nintendo Switch, Hanayaka Nari, Waga Ichizoku Modern Nostalgie, and Hanayaka Nari, Waga Ichizoku Gentou Nostalgie, all due out in 2019 in Japan. Clock Zero ~Shuuen no Ichibyou~ Devote, also due in 2019, is a port of Clock Zero ~Shuuen no Ichibyou~ Extime for PS Vita with additional content such as stories from when the characters are younger, so it seems like Otomate is treating it as a larger release than some of the other ports (it got its own trailer, while the other titles mentioned did not). 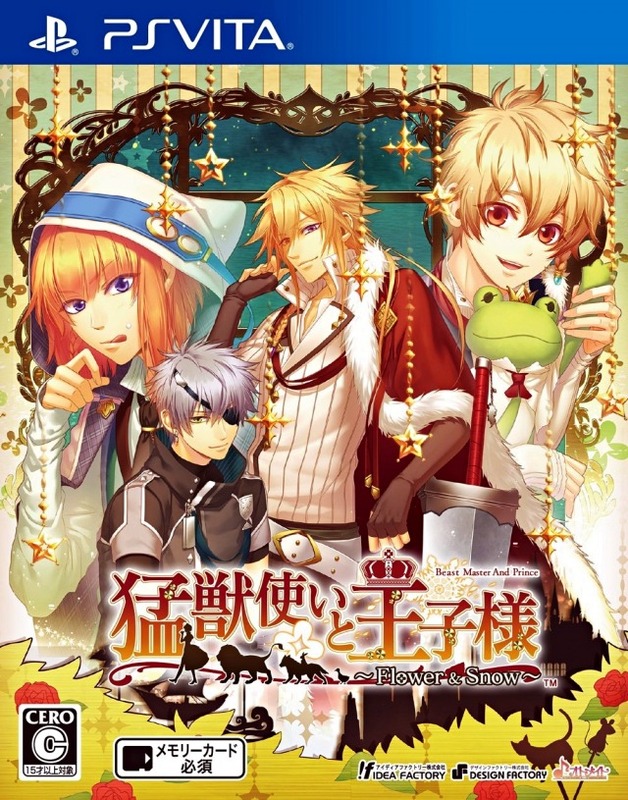 I’m personally very excited for Moujuutsukai to Ouji-sama ~Flower & Snow~ for Nintendo Switch, as it’s one of my favorite otome games and I’m always happy for more people to have the chance to play it! Translated as Beastmaster and Prince, Moujuutsukai to Ouji-sama is the story of a girl training to be a beastmaster like her parents who suddenly stumbles upon four prince brothers who have been turned into animals by a curse intended to kill them. There’s even a petting minigame, which you know will be great on the Switch! As for new titles, Olympia Soiree is coming to Switch from the staff behind Nil Admirari for PS Vita (no release window announced). Not much information about it has been revealed so far, but it takes place on an island where all is decided by the color you are born with, and the protagonist was born with the color white. The tagline suggests that it will have a focus on myths/legends. All I know is the art looks gorgeous! Of course, this wouldn’t be an Otomate event without some Diabolik Lovers news. Diabolik Lovers: Chaos Lineage, a game adaptation of the drama CD series of the same name, will also be coming to Switch next year. I still haven’t gotten into this series, so I can’t really comment on this one, but I’m sure there are a lot of folks excited for more sadistic vampires! 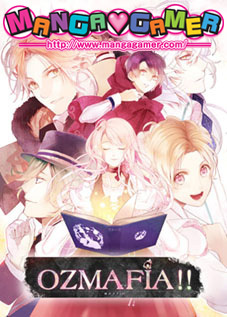 One of the games that I’ve been interested in hearing more about that we finally got some news on was Shiritsu Verbara Gakuen: Versailles no Bara Re*imagination, the Rose of Versailles high school AU. 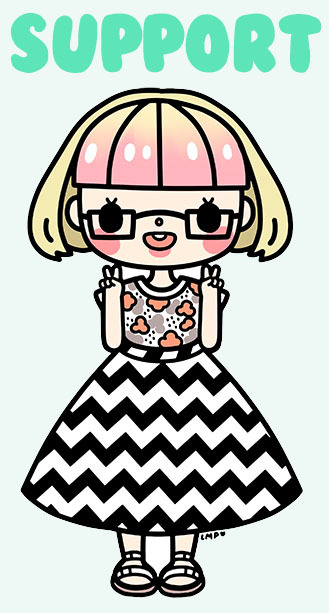 I have to say, after watching that trailer… I’m not sure how interested in the game I am. The selling point they’re pushing is that the protagonist is also named Oscar for some reason? The game is now due for release in 2019. The last announcement that made my ears prick up isn’t for Nintendo Switch, but rather iOS/Android. The hit drama CD series Hypnosis Mic is getting a rhythm game titled Hypnosis Mic: Division Rap Battle next year, and this announcement was finally the push I needed to go learn what exactly this thing I’ve seen explode online the past couple months is all about. Well, that video was all it took to turn me into a Hypnosis Mic (or HypMic for short) convert! I can’t wait to go out and grab some of the individual division CDs before the rhythm game releases next year! What announcements from Otomate Party 2018 are you most excited about? Let me know in the comments!